You can run, but you can also Hyde. Lifestyles of the rich and the famous won’t have you complaining, as US hospitality group to the stars, sbe, is letting us laymen have a bit of fun in Australia’s own party city. Bringing a bit of boujie to the Gold Coast, Hyde Paradiso is the first Australian addition (and technically the first addition outside of the mother land) to Hyde’s extensive American family of nightclubs, lounges and bars. Our own slice of paradise is now operating as a restaurant, bar and party place in one swanky spot, and we’re pretty curious to see who it attracts (here’s to hoping Chris Hemsworth lives for the sesh). Pulling up in Peppers Soul, Surfers Paradise, Hyde is set to turn your social life up and out with oversized cocktails and Mediterranean eats to be enjoyed with 180-degree ocean views and DJs spinning tunes. You should never judge a book by its cover, but having something nice to look at isn’t a sin. 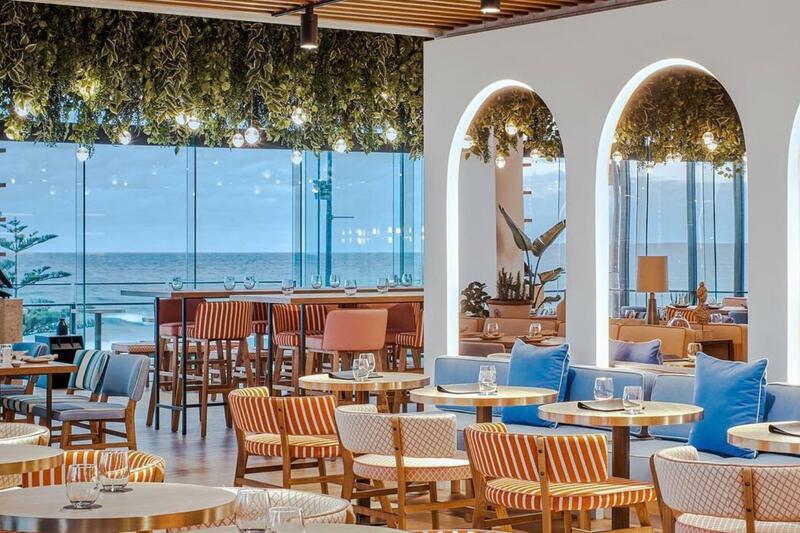 Thanks to acclaimed designer Carlie Milosevic, Hyde’s fit out includes a 12m bar, mosaics and a blue, white and peach colour scheme with greenery draped from the ceiling, and roaming Instagram influencers permanently glued to their phones. All in moderation, Friday-Sunday will be prepped to party, while Monday-Thursday will come back down to earth to run as a balmy restaurant. Safe to say you’ll love Hyde Paradiso more than Kanye loves Kanye.